We speak of Revival, when a great movement happens of many people turning to Christ. Entire communities turn to God and change. Generally almost all Revivals have a great movement of prayer preceding. Prayer groups form, many people are moved to pray for the community, the youth, the lost, etc. An awareness of "brokenness" occurs. Many Christians are grasping that all their effort of their own strength are fruitless and they have to rely on the Lord. An awareness of "sin" occurs. People are making things right which each other. God does a mighty work of reaching out to many hundreds of people that turn to Christ. Christians find new love for the Lord and usually many worship songs are sounded throughout the community. We see drunkards and sinners sobering up and turning to the Lord. Some report show that bars are closing and going out of business during times of revival. One results of revival is usually that teams go out to spread and share the news of Jesus. There are reports of miracles and many divine interventions. For example during the Indonesian revival of 1966-74, there were many teams sent out from the areas of the Revival. A team preaching at one village had the entire village (9,000 people) turned to Christ. Another team that was sent out was attempted to be poisoned, but nothing happened to them. A team crossed rivers in obedience of the Lord guidance to preach the gospel in a village and the team walked on water. A team was singing hymns in front of a person who just passed away and decomposition already started. The person came back to life. For communion services water was turned into wine. When a team was crossing to the island of Rote, a moslim onboard the ship challenged them when a storm came up. The team prayed and the storm calmed down and the moslim accepted Christ. A team traveled a lot at night, while the Lord gave them the light, to show them were to go. This team also stayed dry during rain showers. Another team went on their way to a village 48-foot-travel-hours away. They arrived there in only a couple of hours and found the church packed and assembled for service. God brought calamity on some of the people who full-blast resisted the teams and their ministries. Many new songs were created and Christians singing everywhere is a mark of revival. 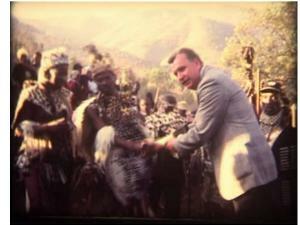 Before the 1966 revival broke out in Zulu-Land South Africa, missionary Erlo Stegen preached and campaigned for 12 years, without much result. Many accepted Christ, but lives did not change. As he traveled and visited churches, he sometimes spent weeks to make peace between church members before it was possible to hold a church meeting. After he broke down and considered his work a failure, they studied the book of Acts and the following events are described as “God came down”. 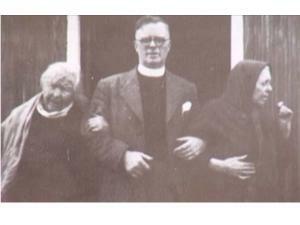 The 1949 revival in the Scottish Hebrides islands is traced back to two ladies, Christine & Peggy Smith. When they noticed that the spiritual life in the church was fading and the youth stayed away from the meetings, they earnestly started to pray for revival. Even though they were too old and sick to attend church, one was blind the other crippled by arthritis, their prayers are considered the spark that ignited the revival. Awakening - DVD Report of the Evangelical Revival or Great Awakening 1739-1791.